My card for today concentrates on a watercolour background using the emboss resist technique featured yesterday, it looks like I am going to be working a day behind, I really want to try all the methods and techniques, its just a pity I have to go to work all day, which only leaves me with around an hour in the evenings to play.. 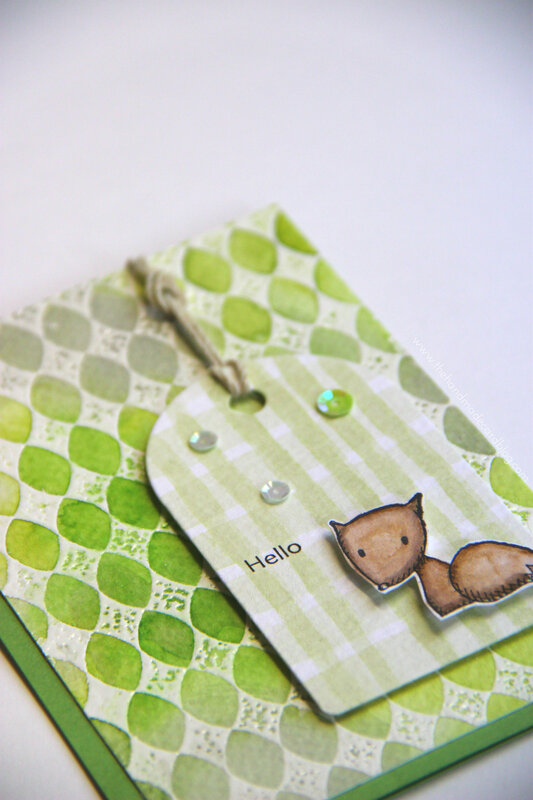 If you already follow my blog, you will recognise the wee foxy tag I added to the front of my watercoloured embossed background, it was part of my homework for class that I was practicing over the weekend. He just fitted perfectly on this card, it was meant to be! I will add a list of supplies at the bottom of this post, just incase you are interested in any of the products I used. As always, thank you so much for popping round & see you tomorrow for another card! This is super! Those colors are blended beautifully. 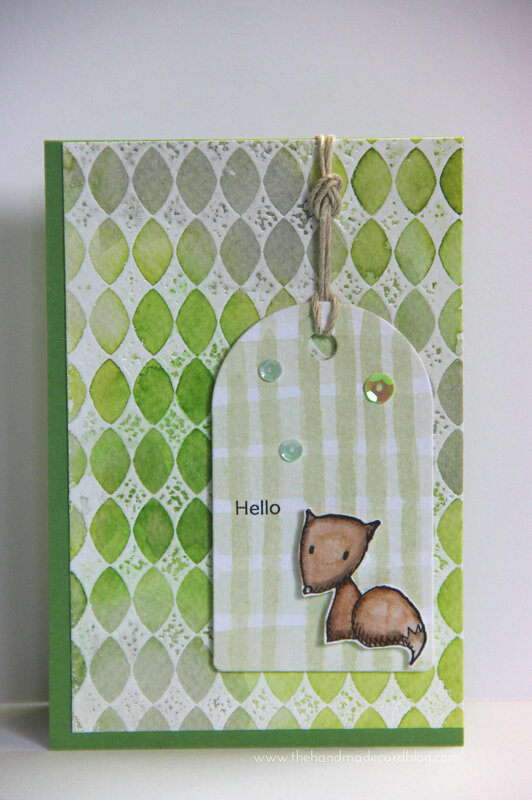 love your watercolour embossed background – what fun homework. How cute is that fox so glad you used it again.